We say, we are fine. They say, we are not. 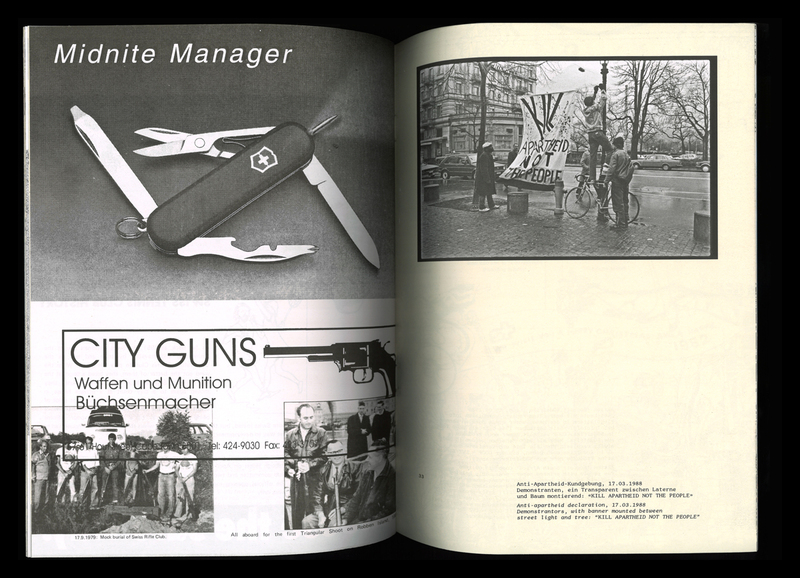 This publication is part of Denise Bertschi's series of works that the artist is promoting under the motto "Neutrality as an agent". 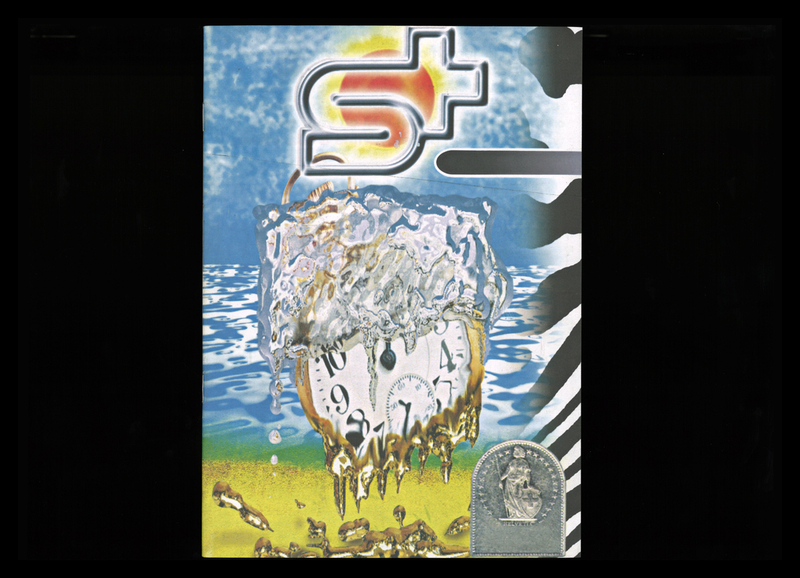 In this body of works Bertschi examines Switzerland's role as a supposed neutral player in the waters of international politics and business. She recently concentrated on Switzerland's relations with the apartheid state of South Africa and spent four months for research purposes. 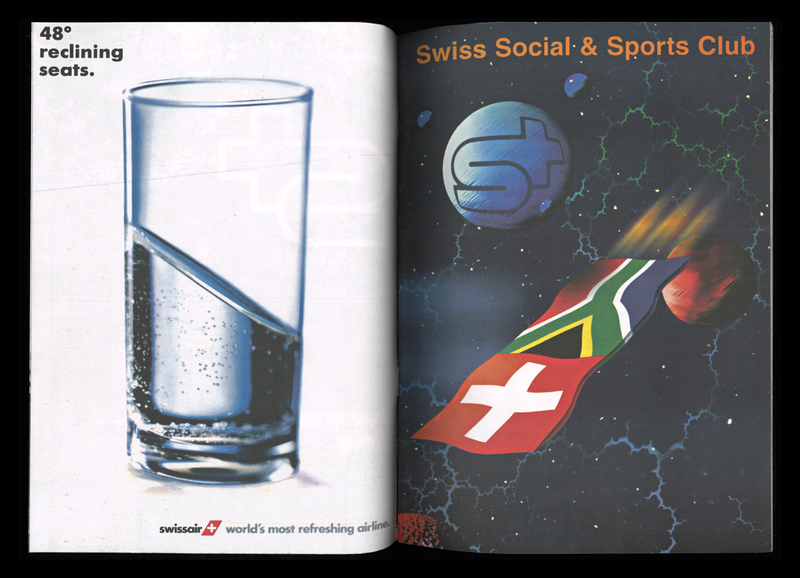 This led to the present publication which examines interwining aspects of Switzerland with apartheid in the 1980s. 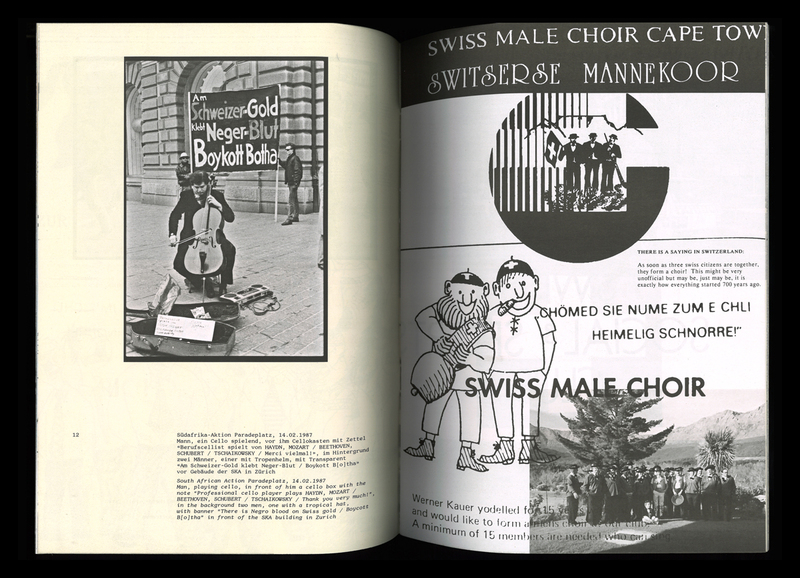 While various groups "at home" campaigned against apartheid from 1965 and their actions reached wider public, the Swiss Social & Sports Club in Cape Town seemed to have occupied by other things.